The Edit Customer Details page enables you to edit a customer's account information, add a secondary contact to the customer account like a sales contact, edit customer preferences, and set up/edit payment options. Additionally, you can perform customer management related actions like suspending a customer, reactivating a customer, deleting a customer, etc from this page. Search for and locate the customer whose account you want to edit. The Edit Customer Details page for that customer is displayed. The information that you enter while creating a contact will be added as the billing contact for the customer. The address, email addresses, and contact telephone numbers will be used for all billing related activities i.e. sending invoices, etc. Go to the "Billing Contact" section on the Customer Details page and click on the "Edit" link. Make changes to the information as required and click on the "SAVE" button to save changes. Go to the "Sales Contact" section on the Customer Details page and click on the " " link. The Sales Contact section is expanded. Click on the "Edit" link. Add Sales contact information or make changes to the information as required and click on the "SAVE" or “CREATE” button to save changes. Go to the "Summary" section and Click on the "Edit" link. The Edit Customer Preferences like Company name, Add Customer groups, Notification preferences, Commissionable Sales Agents..etc is displayed. Make changes to the preferences as required and click on the "UPDATE" button to save changes. 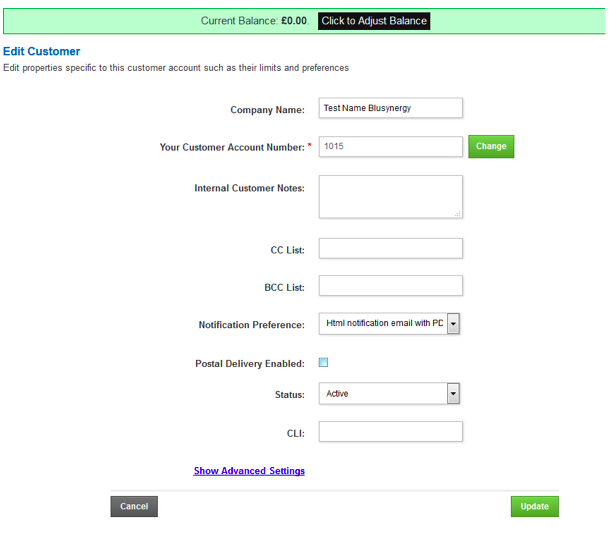 The Payment Options section on the Customer Details page is where you can set up the payment methods for the customer. In this section you can add payment methods under "1st preference", "2nd preference", "3rd preference". The payment methods will be used in the preference order listed here. 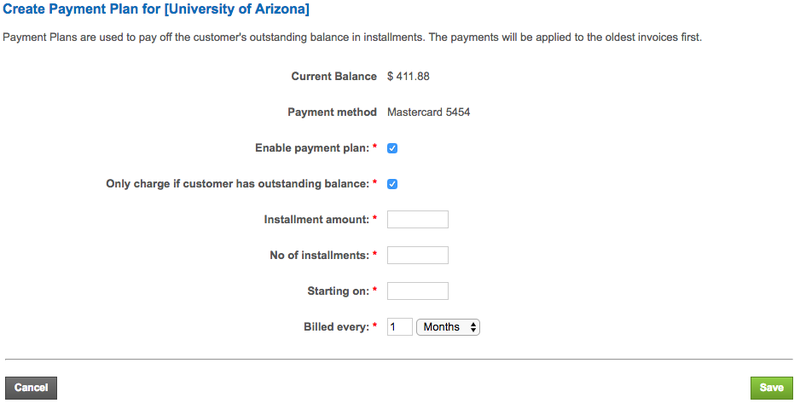 The payment option will be used for the customer's charges if the "Automatic Payments" option is enabled. If the amount cannot be deducted from the 1st preference payment method, the second payment method will be used and so on. This option is used when your Customer has a big amount that needs to be cleared before raising any further invoices for them.